4 sheet door installed in supermarket storehouse with anti-panic lock. 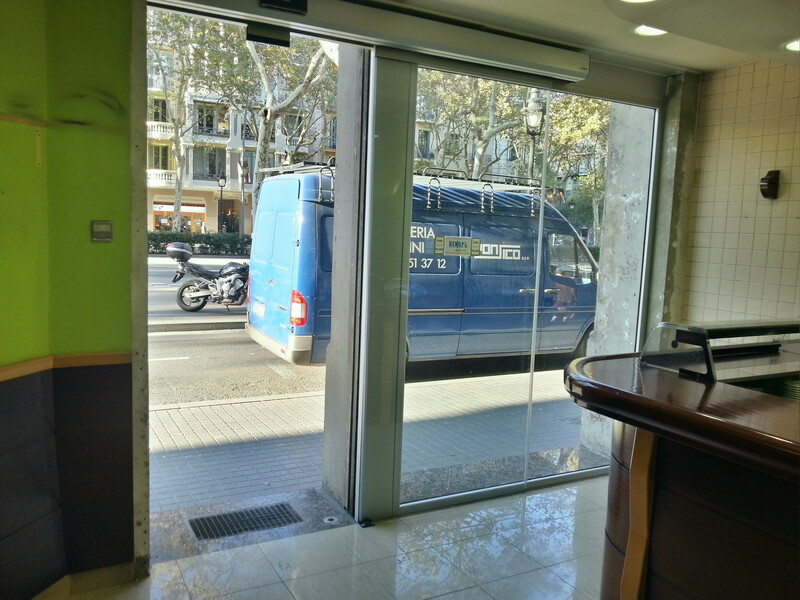 Door installed in a bar in Barcelona’s Gran Via, composed of a fixed side glass and a motorized sliding door motion sensors. Composed of an aluminum anodized Series stilo-50 and a laminated glass 5 +5 security. These types of doors are very practical for rooms where there is a constant flow of people where you do not have to worry about who enters or leaves, it is possible also to open and close the door manually by a knob. 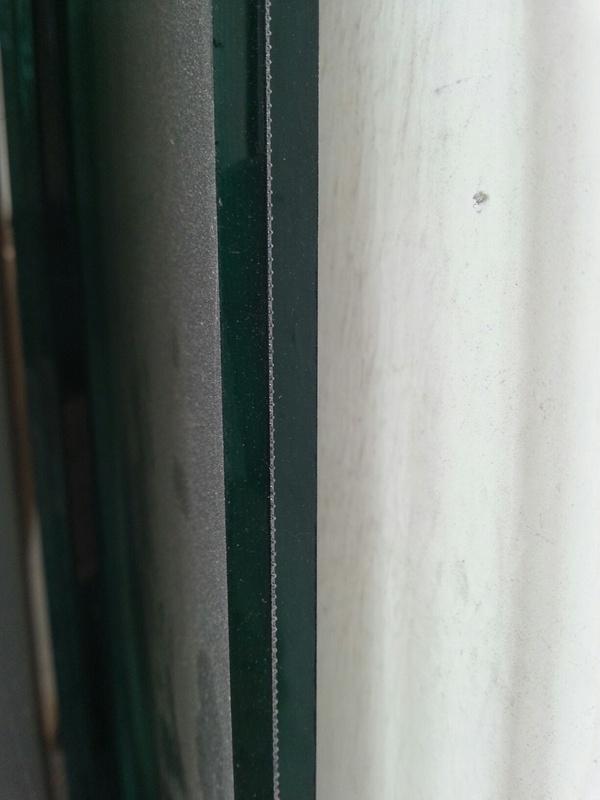 Another variation is to place a sticker on the glass that can open the door to touch anyone who wishes. In the glass and rubber bands were added to help improve the sealing of the door, and protect the glass in case of lateral impact. 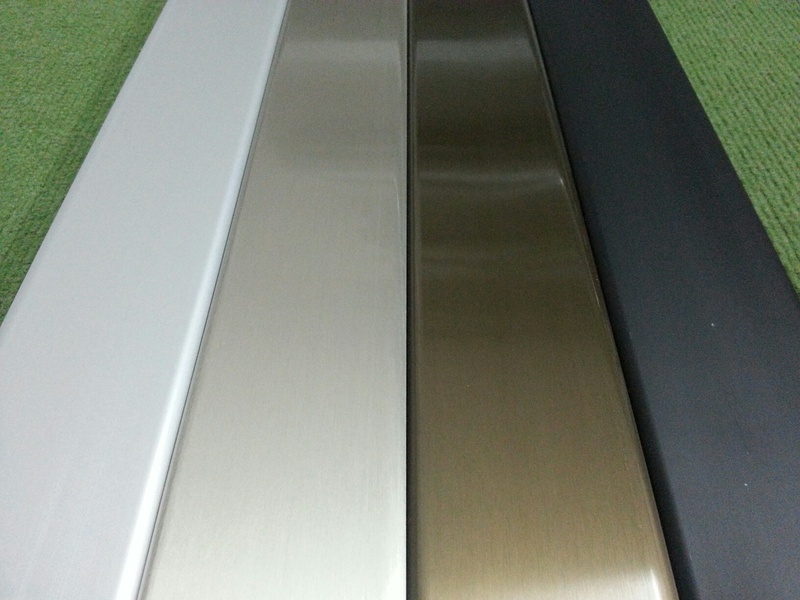 These types of aluminium doors can be chosen with different materials, finishes and glass, so that the customer can make your door to your liking. This job was installed by two operators in a morning’s work. Contact and see no obligation price and delivery of such doors.